There's still plenty of bong-ripping, pipe-smoking and joint-passing going on in the world of weed. But the hottest trend in weed in 2018? Everything but actual bud. You don't have to inhale a cloud of smoke and feel the burn in your lungs in order to get high. And the legal weed market has started to realize that. "One of the largest trends in 2018 was vape adoption and edibles," says Robert McKinley, owner of Grow Op Farms in Spokane Valley. In states where weed is legal, flower is still the top seller. But its dominance in the market is diminishing. 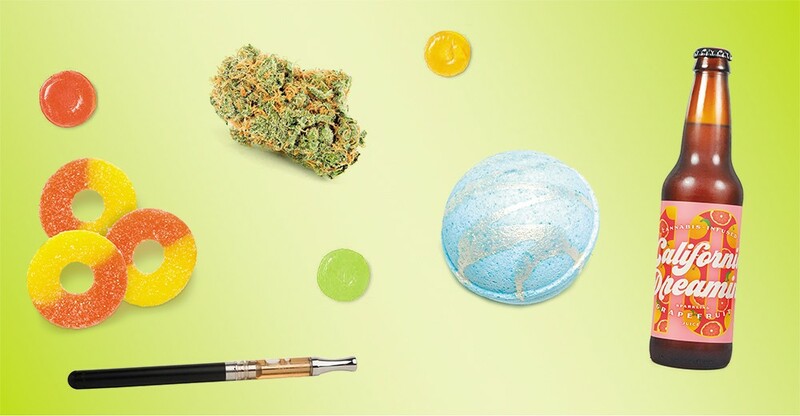 Gummies, sodas and vape cartridges — ways to consume marijuana besides smoking — are becoming the new favorites for consumers. A report released in September by Arcview Market Research projects sales of cannabis concentrates to nearly match flower sales in the U.S by 2022. It's the hottest trend in weed these days. So we asked some local retail stores what the most popular products are. In 2019, Moore expects vape cartridges to become more popular. Retail stores will continue selling an increasing array of products. Farmers will focus on their best-selling weed strains more, instead of creating as many strains as possible. "I think more companies are focusing on quality over quantity," she says. At Locals Canna House, the top-selling retail store in Spokane County, flower remains the most popular product, says customer service manager Reese Sarff. Still, Sarff says they've seen more people buy edibles, vape cartridges and an emerging new product: weed sodas. "Essentially [sodas] are still an edible," Sarff says. They may act a little bit quicker, however, so they usually recommend to start small. Eric Skaar, regional manager of Sativa Sisters in Spokane, says he's selling a lot of cannabis-infused bath bombs. Drop it in the bathtub with you and get ready for the most relaxing bath of your life. "We're seeing more and more of it all the time: creative, inventive new things, or putting a new spin on something that's been around," he says. Skaar guesses that people are starting to become more health-conscious with their weed consumption. People who are 45 and older are major consumers of recreational pot, and they're wary about inhaling smoke if they don't have to. The original print version of this article was headlined "Eating the Market"